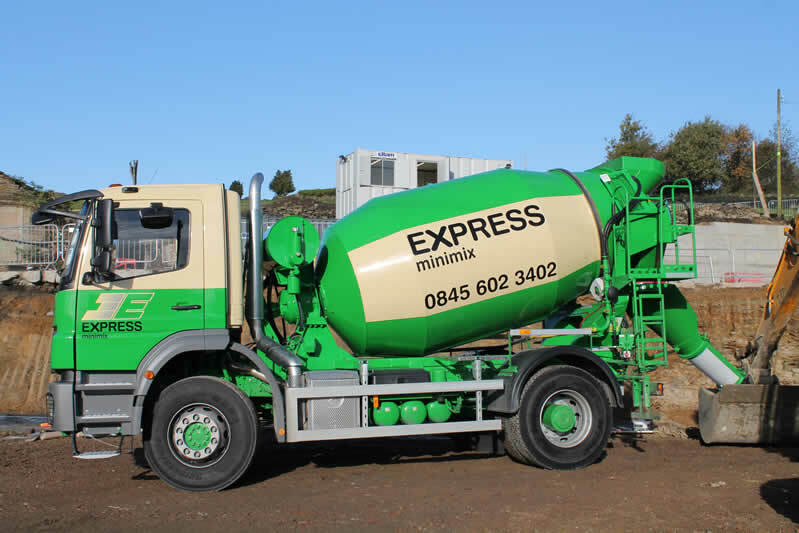 Express Minimix is a local independent company specialising in small loads of readymix concrete. 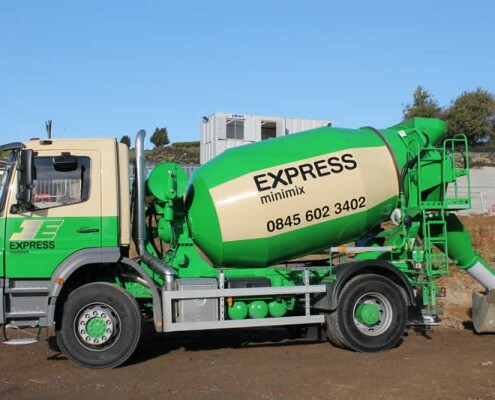 Our head office is based in County Durham, and from here our local team of experienced Shippers and Sales staff manage our fleet of truck mixers covering the North East, the North West, most of Yorkshire and Scotland. 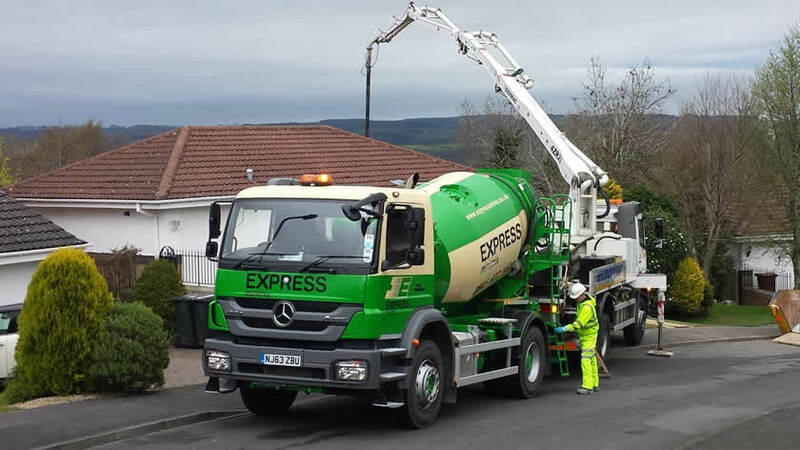 We have a broad base of customers and are naturally proud of the fact that much of our business comes from referals, recommendations and repeat work from our many satisfied customers. 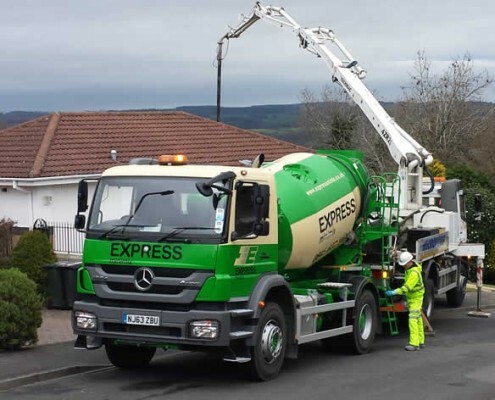 We offer a large range of concrete products to suit all requirements from large scale construction, housing and civil engineering projects, to house extensions, driveways and concrete for the DIYer. 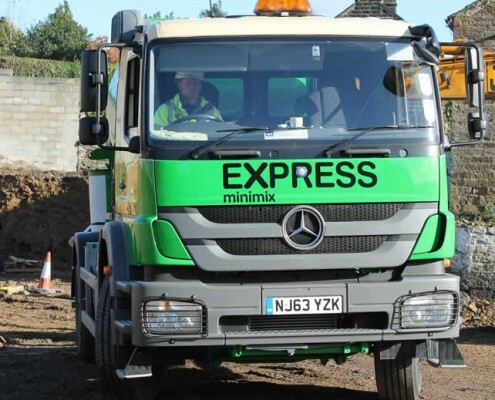 As the largest independant supplier of minimix we can offer the following benefits. Our staff are dedicated to helping you with your order. With extensive local knowledge and a combined experience which exceeds 150 years they are happy to provide the best possible advice and assistance. 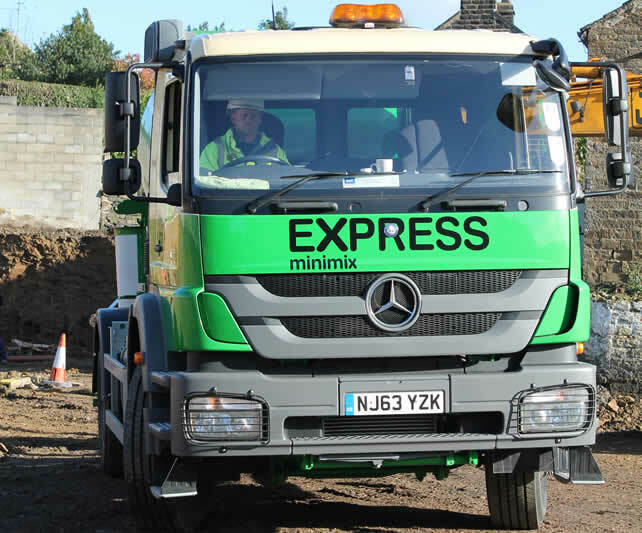 Our reputation has been built on our ability to provide a rapid response to our customer needs specialising in sameday orders aided by our large fleet with happy to help company drivers. 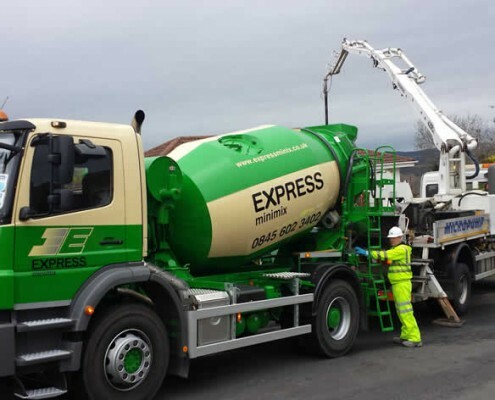 All the Ready Mixed Concrete that we supply is produced and collected directly from quality assured plants. 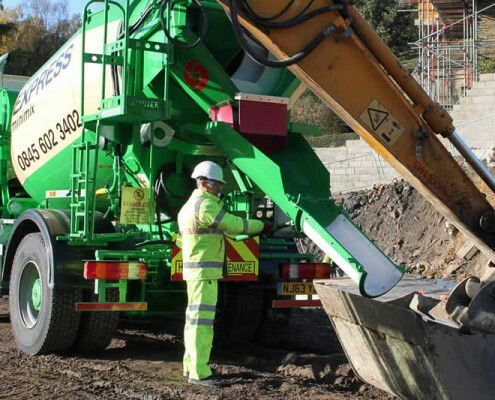 Our staff are happy to advise on concrete types, quantities required and delivery schedules. 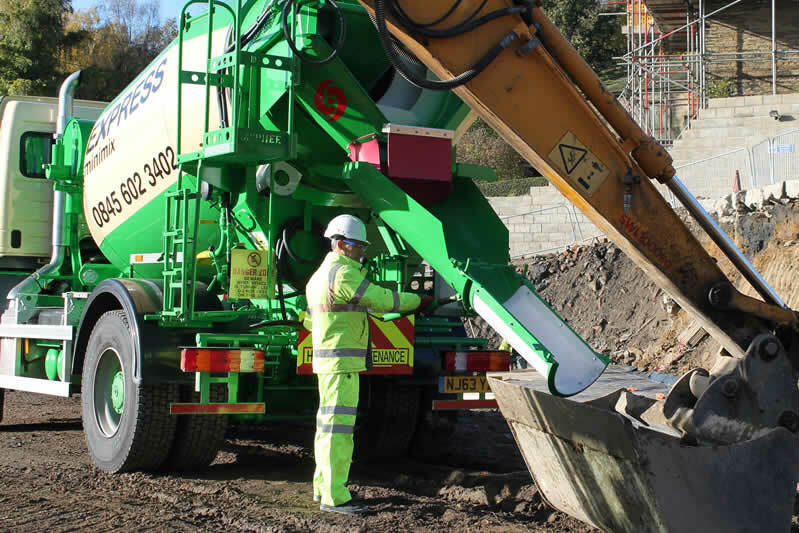 Our truck mixers are all 4m³ and our load size ranges from 0.5m³ to 4m³. 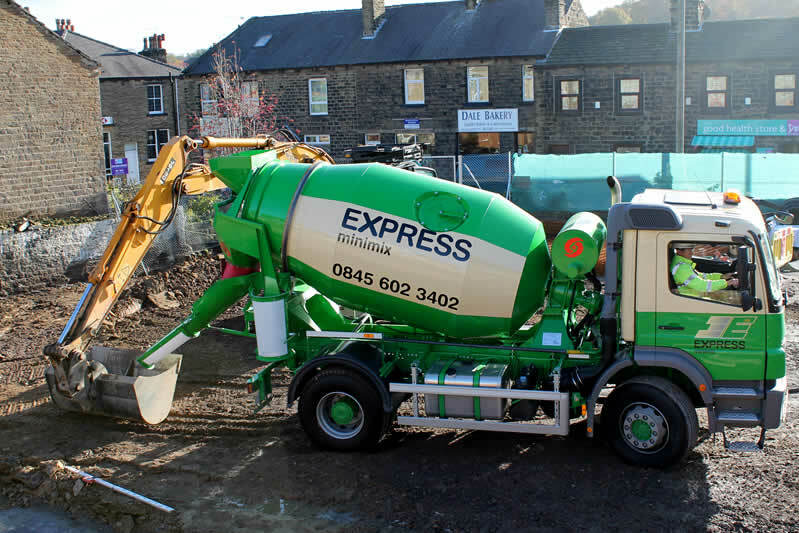 We do not charge for part-loads or waiting time and no job is too big or too small for us to handle. In a tight spot with restricted access then a concrete pump is what you need. 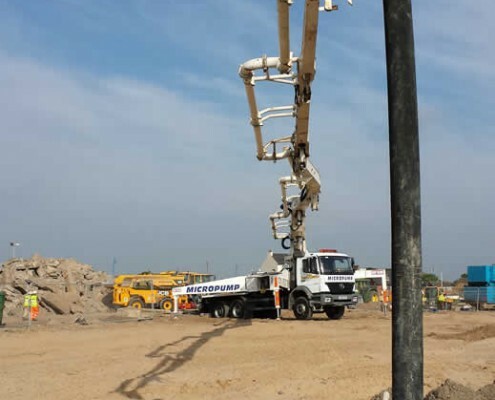 The ease and speed of pumping concrete makes it the most economical method of concrete placement. 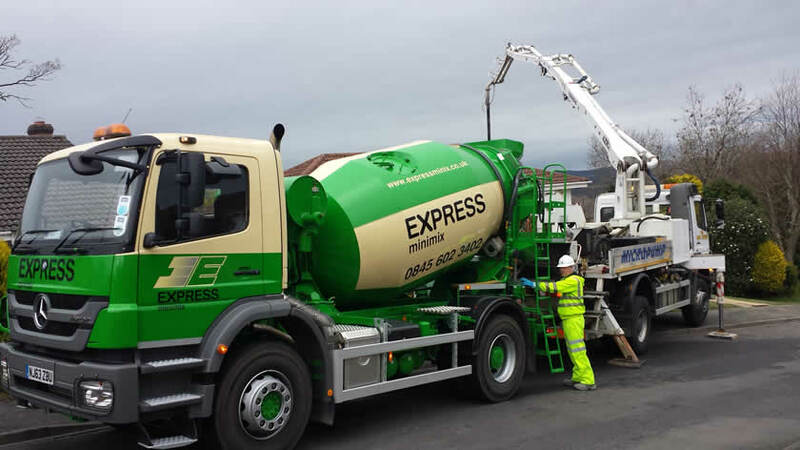 With mobile fitters on standby at all times and friendly helpful CPCS Trained Operators we ensure the job is carried out to the highest standards. 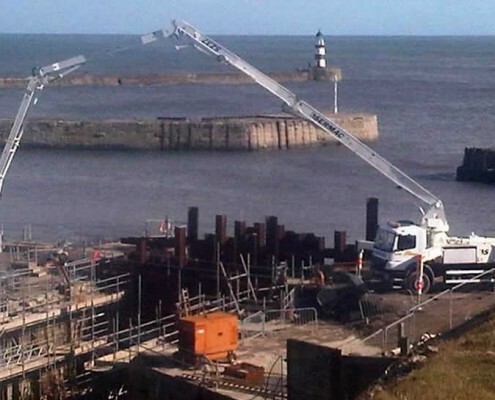 The 37m (5 section Z fold) has no problems if its reach you need, as well as having long reach capability it is still able to set up in restricted areas, and having the five sections allows the boom to be used inside buildings and access most areas where ground line is required . 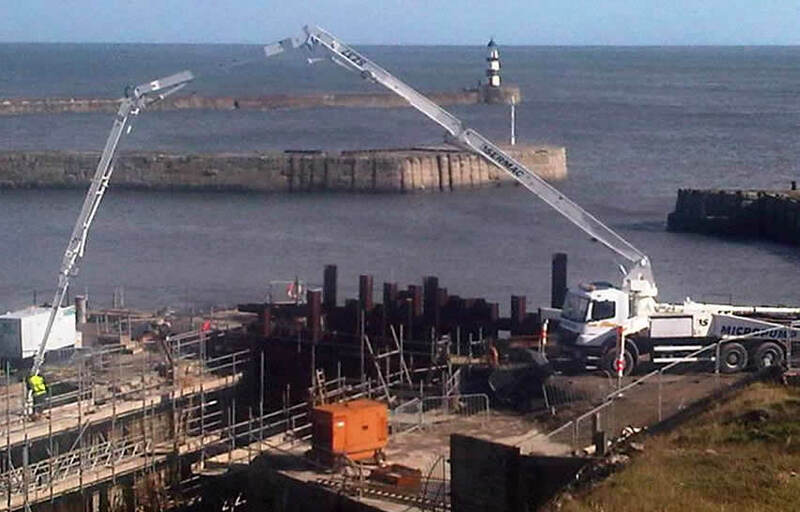 The 24m ‘City Pump’ (4 section, Z fold) – is a highly versatile boom. 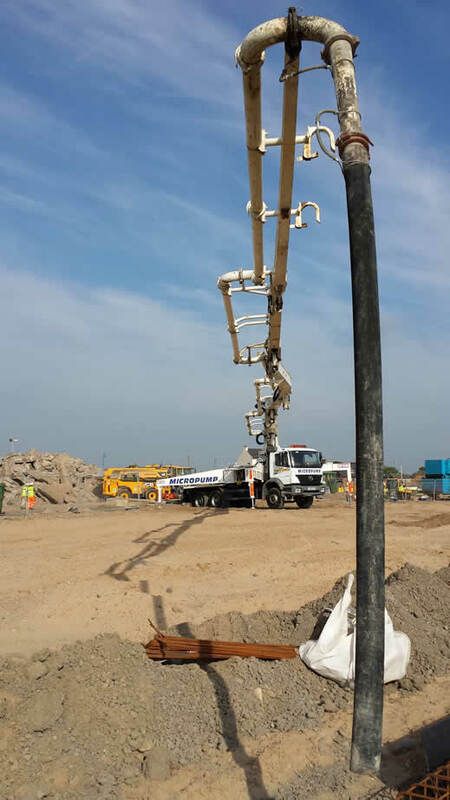 Pumping concrete within any restricted space can be a difficult task where ceilings are perhaps only 5 metres high or within a limited access or outdoor area, making this pump one of the best for the job. Here at Express Minimix we take health and safety very seriously. 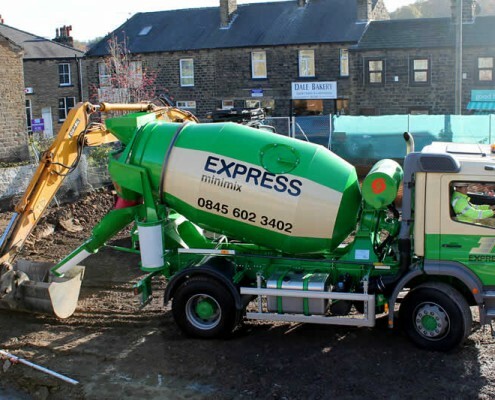 Ready Mixed Concrete if handled incorrectly can be harmful. It is made up of materials which can cause skin complaints and respiratory problems. Please refer to our Product Data Sheet for full details.